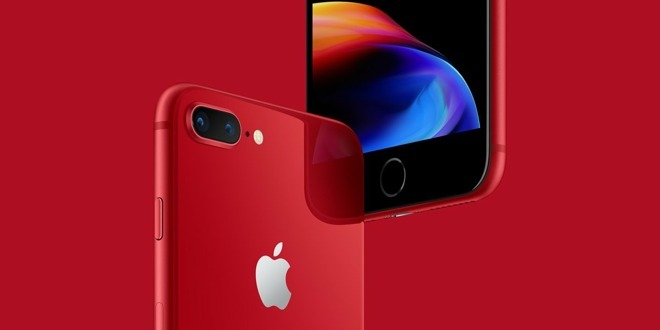 Suning saw sales of Apple products rise 83 percent between Jan. 11 -- when it instituted iPhone price cuts -- and Jan. 30, local publication Feng.com reports. The iPhone 8 and XR were said to be the most popular models. Tmall slashed prices on Jan. 13 and by Jan. 29 reported a 76 percent surge. During a quarterly results call earlier this week, Apple CEO Tim Cook promised the company would lower iPhone costs in some overseas markets. These were previously hiked in response to exchange rates, but the effect contributed to a year-over-year decline in December-quarter iPhone sales from $61 billion to just $52 billion. China was the hardest hit, its regional revenues falling 26.7 percent to $13.17 billion. The iPhone in particular has taken a beating in the Chinese smartphone market, mostly because local vendors like Huawei and Xiaomi are selling competitive phones that cost hundreds of dollars less than Apple's offerings. Compounding matters has been the strong U.S. dollar, a weak Chinese economy and the effects of the U.S.-China trade war. Apple hasn't said which other countries might benefit from price drops. I wish Apple the best of luck and I believe XR will be very popular in China. Those colors! Does it mean that enemies of US would get a discount of Apple products while consumers from the Five Eyes and other alliances will continue suffering from the strong US currency and headstrong RRP pricing? Damn! People in western world can afford so does not necessitate discount. Buy them on BOGO deal from AT&T,T-mobile,Verizon,etc. I'm very much not one of "those people" who think they know better than the Apple executive team, but I would love to see the iPhone SE updated to the A11 and sold for ~$300 outright (or less on contract). I think it would do very well in the key markets Apple wants to significantly grow. I hope the recent "cameos" of cheap old SEs is a harbinger of such an idea. Doing this would solve several problems (like India's conditions, keep Foxconn busy during the off-season for newer phones, etc) all at once. Good. Now Apple do the same in the rest of the world... Apple products are priced insanely high in Europe. Western world isn’t just the USA. Here in Europe iPhones are insanely priced. Well Apple didn't "lower" prices, Sunning Did. Apple did lowered it wholesale prices a while ago, but that was before the Tim Cook announcement. No aren't they supposed to raise Prices another $300 dollars. DED: Apple is financially successful because prices are high. Corollary: Raise Prices another $300 and apple will become even more successful.. $2,000 iPhone is the Goal. How big were the price cuts? I don't see any mention of the amount. Seems like they'd have to be pretty deep to generate such a surge in sales.